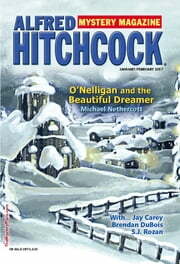 "Frank" by Steve Hockensmith, in Alfred Hitchcock's Mystery Magazine, October 2012. I admit I may be biased in favor of this story, simply because of its subject matter, which is one my family is dealing with currently. But now a series of crimes are happening in the complex -- maybe. Unless someone is imagining it in senile dimensia. Can Frank pull himself together long enough to catch the culprit? And what if he is the culprit? Witty, touching, and a twist at the end. What more do you want? 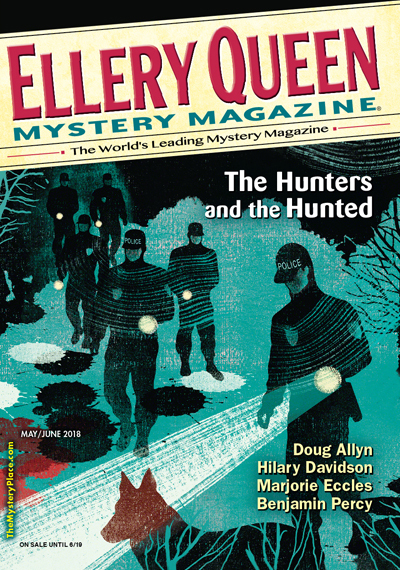 "The Case of the Disapppearing Passenger," by Jonathan Turner, in Ellery Queen's Mystery Magazine, January/February 2017. Boy. Where to start with this one? I am on the record as not being a fan of fan fiction, where people just write yet another story about Sherlock Holmes, or another novel about the characters of a dead author. And this one falls in between the stools, you might say. 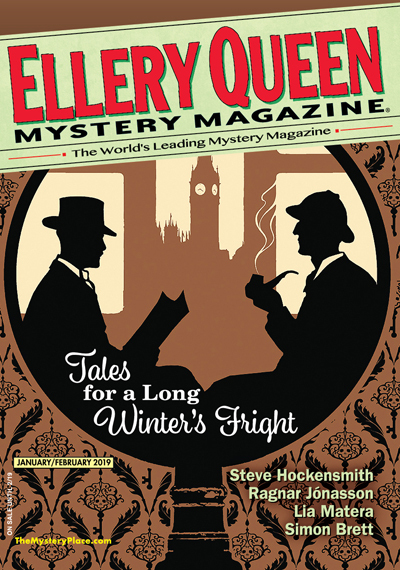 Jonathan Turner has used (with permission) Steve Hockensmith's characters Old Red and Big Red Amlingmeyer, and combined them with Arthur Conan Doyle's Sherlock Holmes. This story takes place not long after the most recent (but I hope not last) novel in the series. 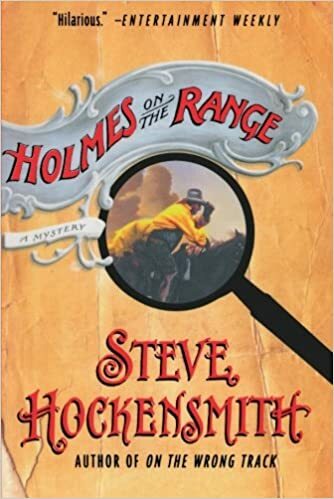 The first half is a letter from Big Red to Holmes explaining a case the brothers encountered in New York, which ends with the villain escaping on a ship to London (as Old Red deduces). The second half consists of Holmes and Watson figuring out which passenger is the bad guy. "Enjoying things ain't what you'd call Gus's strong suit," I told him. "You may be the King of the New York dicks, but he's the Ace of Curmudgeons." "That makes you the Jack of Asses," Gus retorted.